The 15th meeting was held from 21-23 November 2016, in Bangkok, Thailand. 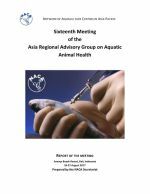 A special session was held on addressing the use of anti-microbial substances in aquaculture and the development of anti-microbial resistance. 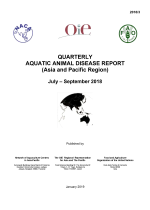 This is an issue of global concern for both human and animal health, and it had been addressed by a resolution at FAO’s Thirty-ninth Conference in June 2015. 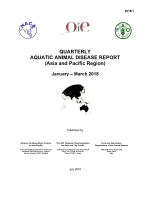 The meeting reviewed in detail the status of aquatic animal disease in the region. Anti-microbials and alternatives. 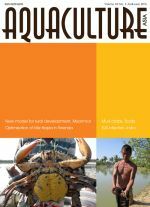 Successful demonstration of new model for rural development in Myanmar. Optimisation of Nile tilapia (Oreochromis niloticus) production in ponds based on improved farm management practices in Rwanda. 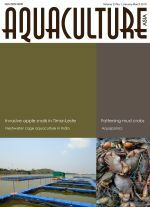 EUS infection in freshwater fishes of Andhra Pradesh. 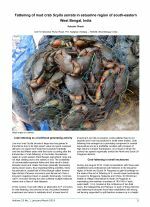 Development of pond-reared broodstock / spawners of green mud crab Scylla serrata. ASEAN Gender Network launched. A two-tube nested PCR detection method for AHPND bacteria. 9th Regional Grouper Hatchery Production Training Course.